"a queasy mix of black metal bile and phlegmatic Danish trad-folk" - SPIN LISTEN TO MYRKUR'S 'M' IN FULL VIA REVOLVER HERE. 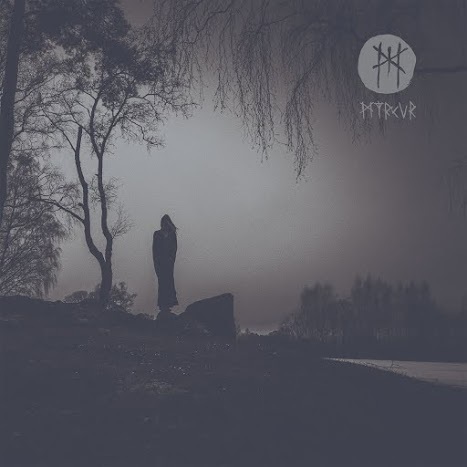 Over the past year Danish black metal phenom, Myrkur, has stricken us one by one with her lush, brutal melodies that blend second-wave black metal, Nordic folk music, classical instrumentation and haunting choirs. Finally her highly anticipated debut metal masterpiece M is almost here. M was recorded in various locations of Oslo, Norway (including a tomb in Emanuel Vigeland's Museum) with co-producer Garm - the mastermind behind black metal legends Ulver. Rounded out on record by members of Mayhem and Nidingr plus a guest appearance from Christopher Amott of Arch Enemy, Myrkur has quickly established herself as one of the best and most intriguing acts in metal today. MYRKUR Featured on the Cover of Terrorizer Magazine!